What is the purpose of the Impact Protectors? 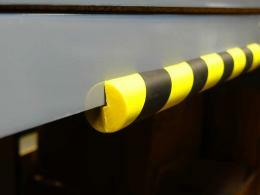 Impact protectors are a unique development that can serve to reduce overall costs of industrial shelving. Impact protectors work by securing the edges of shelving from harm and are a useful preservation method that is cheap and effective. Because of the versatility of these protectors, they can be used in a number of different applications not limited to simply industrial shelving but also commercial shelving solutions as well. They are an affordable way for business owners to protect both their infrastructure and their workers from harm. 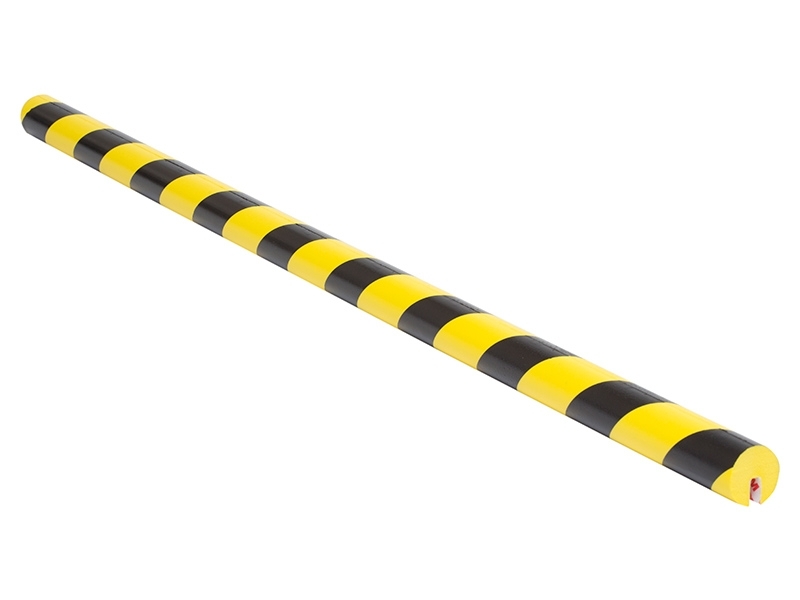 Impact protectors are ideally used in any situation where the edges of shelving may come into contact with something that may lead to it being damaged. The heavy-duty nature of the protectors leads them to be used more in industrial situations where wear and tear is of a much harsher quality. This includes situations such as loading docks and bays where pallets and large boxes can, over time, lead to wear and tear on shelving edges. In any commercial situation where users navigate to products along aisles, these protectors are a great way to reduce the damage that users can apply to shelving surfaces. Warehouse storage companies can best utilize these protectors as a means of extending the life of their shelving. Industrial storage facilities can also use these protectors to make their shelves last longer. The overhead for the replacement of shelves can be quite costly and having something that ensures that edges of shelves aren't damaged unnecessarily is a very good innovation to look into. Additionally, workers in warehouses and commercial locations such as these benefit from having these protectors on the edges of shelves since it serves as a safety measure that prevents workers from being damaged by shelf edges. Utilizing the protectors as a means of saving shelving can also benefit workers of the company in the long run. The protectors are shaped like a cylinder and have a cross section with a diameter of 35mm. They come in lengths of 1030mm and longer shelving regions can be dealt with by adding more protectors in a line to the edges. The protectors are made of foam and come with self-adhesive faces that allow them to be installed quickly and easily. There is no need for professional installation or tools in order to get them affixed to the edges of shelving. They are built with industrial use in mind and because of that they can withstand a wide range of temperatures, from -25°C all the way to +90°C. 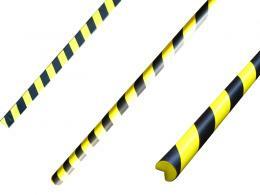 A wide variety of safety products for edge protection can be found in our Car Park and Traffic range. These products include rubber and foam products. There is a variety of wall corner guards, featuring both rubber corner guards and rubber corner protectors. Our Car Park and Traffic range also feature foam edge protectors, such as foam corner protectors and corner cushions.